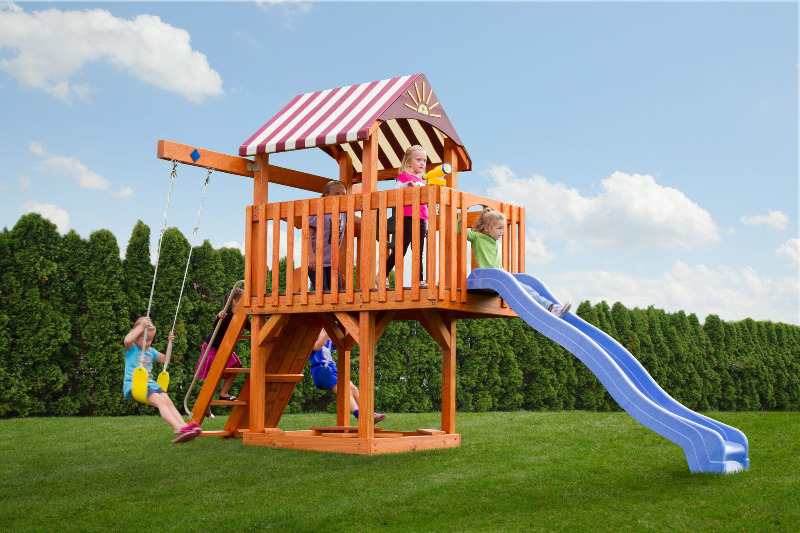 This Model Includes: Towers: 4' x 6' Playdeck. Slides: 8' Wave Slide. Climbers: 4' Rock Climbing Wall/Ladder Combo. Sandbox: 4' x 4' (12 Bags of Sand Needed). Roof Type: Fabric. Swing Bar: 2 Position 7' High Beam. Rides: 2 Belt Swing. Fun Add On's: Telescope, Ship Wheel.